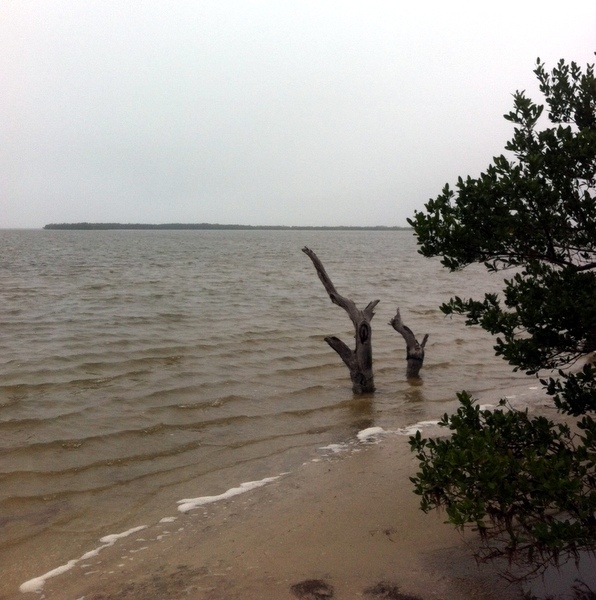 Pine Island on the east side of the Indian River just south of Kennedy Space Center always perks my imagination. 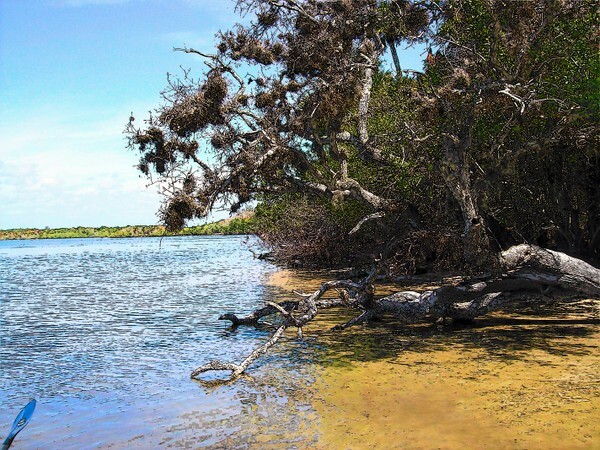 Pine Island is actually not an island but a stubby peninsula that juts into the Indian River -But a significant land mark on the otherwise unremarkable palm and pine tree lined coast of Merritt Island. Pine Island in the distance. Easy paddle for the QCC, but was a battle in my fishing kayak. Winds....Just never know what the wind is going to do on the lagoons. Like Turtle mound north of the Space Center; Pine Island must have been a navigation point for Native Americans, Spanish explorers and early pioneers who plied the river for sustenance or trade, even revenge. How many countless generations in the past had paddled their dugout canoes past the landmark? There would have been overnight stays by Spanish and English explorers or the Ais Indians of the space coast. 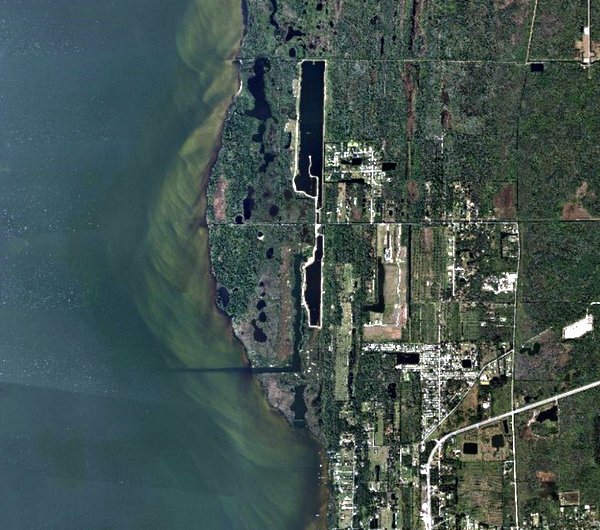 Pine Island, feral hogs rooting along the shoreline exposed this Ais Indian arrowpoint. And yet another reason to like bacon. I always stop a Pine Island when paddling-at the very least to just contemplate the shrouded shoreline and lost histories of explorers. 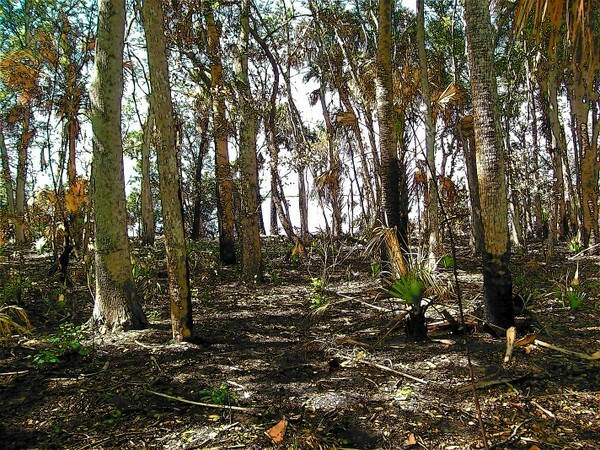 Did the naturalist William Bartram stop here to record wildlife of east Florida? The shallows edges with a firm sandy bottom makes a perfect leg stretching spot when paddling 25 mile practice runs for the MR340 River Race. Just south & east of Pine Island is Sam’s House-the oldest surviving structure in Brevard County, the pine house having survived hurricane and wood eating insects. Pine Island, where the remains of a Columbian Mammoth were discovered in the dredge spoil of Rinker Canal. 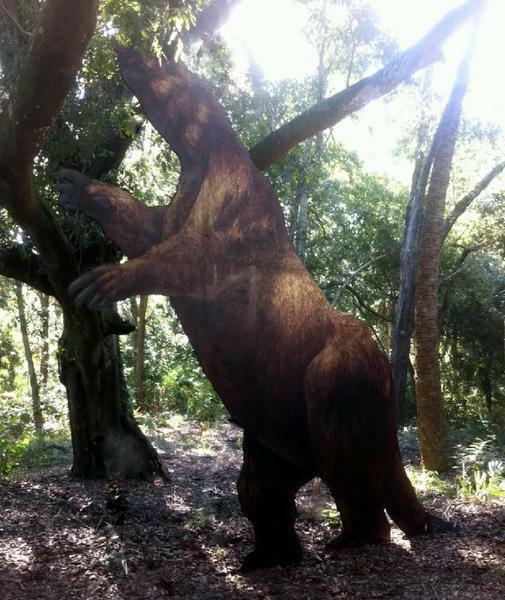 Nearly a century has passed since other Mammoth remains have been discovered Brevard County-all the more astonishing considering the staggering amount of development and dredging that could have produced other mammoth remains. 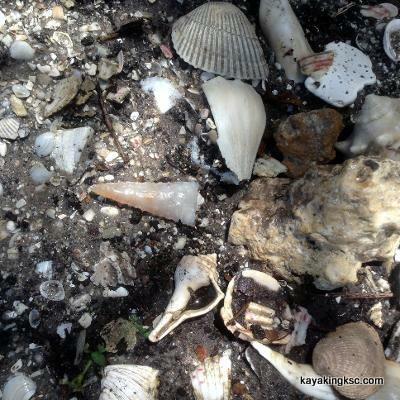 Of mild interest is both remains were found in creeks: Sam's Creek at Pine island and Sykes Creek on Merritt Island. This would have been at least 5000 years BEFORE the Indian River existed and the fresh water stream would have attracted both game (The giant sloth in the photo above) and alpha predators -humans. Pine Island after a controlled burn by the park service. The view is 100 steps inland from the river. As mentioned I always stop at Pine Island when paddling and let my imagination run amok before returning to the kayak and completing however many miles were remaining I had set for myself on that day. Something.....no a lot of somethings lounge under the dark water of Sam's Creek! 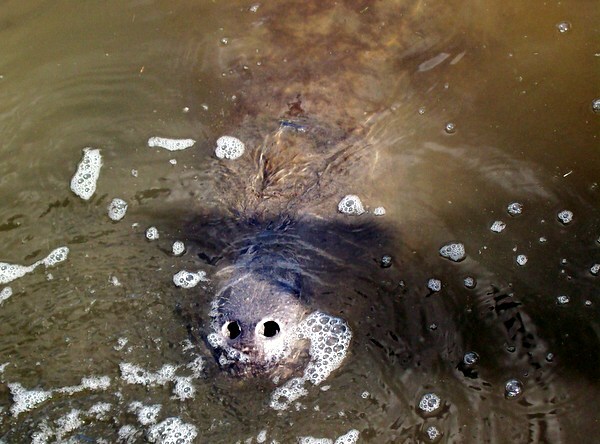 Both you and the gentle giant will be terrified –a small canoe or kayak can easily be tipped over as the big mammal or mammals attempts to flee to the safety of deeper waters. Bottom: you can just make out "Sams House" the oldest wood home in Brevard County & Ais Indian mound.